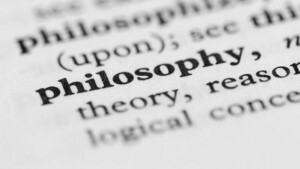 Since philosophy is steadily rising in popularity as the newest generation of college students increasingly seeks enhanced critical thinking skills to tackle today’s modern-day issues, several organizations and universities have established scholarships for philosophy majors to alleviate the financial burden of achieving these results. Despite the fact that philosophy is often scoffed for being one of the useless majors, studying philosophy actually provides students with valuable analytical, logical, public speaking, writing, rational counter-argumentative, and communication skills. If you are considering earning a degree in philosophy, the following are 25 of the best scholarships specifically geared towards students majoring in philosophy. Established in honor of one of the most original, uncompromising, and controversial philosophers in the 20th century, the Ayn Rand Institute Atlas Shrugged Essay Contest is open for up to $10,000 to graduating high school seniors and college students who submit a logically organized essay demonstrating an outstanding grasp of the philosophical meaning of Atlas Shrugged. All submissions will be evaluated in an unbiased four-round judging process based on both writing style and content. At the University of Tennessee, the Bacon-Beard Undergraduate Philosophy Scholarship is awarded for $1,000 annually to junior or senior-level students enrolled in the undergraduate philosophy degree program within the College of Arts and Sciences. Eligible applicants must have a minimum cumulative GPA of 3.0 or higher, be making satisfactory progress toward a degree, demonstrate financial need, and attach two letters of recommendation. Created by the Department of Philosophy at the University of New Orleans for her contributions and service as Professor Emeritus, the Carolyn R. Morillo Scholarship in Philosophy is granted each year for $2,500 to a philosophy major with sophomore or junior-level standing to support their next-to-last year leading to a Bachelor of Arts (B.A.) in Philosophy. Qualified candidates must have at least a cumulative GPA of 3.0 or higher to their outstanding promise in philosophy. Funded by the John Templeton Foundation, the Copernicus Center Scholarship for Doctoral Researchers is designed to provide $2,000 to individuals who hold a Master’s degree in the field of psychology, cognitive science, neuroscience, philosophy, or anthropology and are interested in conducting their doctoral dissertation research at the Copernicus Center for Interdisciplinary Studies. Preference is given to students studying the philosophy of cognitive neuroscience, normative dimension of decision making, or emergence of normative orders. In memory of his lifelong activism for peace and social justice, the Cyrus M. Johnson Sr. Scholarship for Peace and Social Justice is awarded annually for $1,000 to senior-level undergraduate or graduate who are majoring in philosophy at the University of North Carolina at Charlotte and are pursuing studies in the area of peace or social justice. Recipients will be chosen based on financial need, academic achievement, and commitment to making a difference in the lives of others. Named for one of the most prominent figures in the history of early modern philosophy, the David Hume Scholarship is available for full-time junior or senior philosophy majors at Texas State University who compose the best paper in the analytical tradition of Hume with clear argumentation and scientific evidence. For consideration, upper-division undergraduate students must be in good academic standing with a minimum cumulative GPA of 3.0 or better. As one of the ten biggest scholarships in the world awarding up to $50,000 to extraordinary young people, the Davidson Institute Fellows Scholarships are presented annually to deserving students 18 years of age or under who have completed a significant project in science, technology, engineering, philosophy, literature, or music. Eligible candidates must be U.S. citizens, submit a project that exhibits a college graduate level of knowledge in the particular area of study, and be available to attend an awards reception in Washington, D.C.
At Western Washington University, the Downing-Montague Scholarship for Philosophy in Healthcare bestows $1,500 annually upon a deserving student who shows significant promise in the junctures of philosophy and healthcare, including bioethics, technology ethics, automated reasoning systems in healthcare, and or any other areas studying the philosophy of science with a focus on healthcare. Eligibility is restricted to undergraduate students with junior or senior status who are enrolled full-time with 12 or more credits each quarter. With the mission of promoting the study of his contributions to philosophy, the Ferdinand Canning Scott Schiller Essay Prize in Philosophy is available to undergraduate and graduate philosophy majors at the University of California at Berkeley who compose the best essay on a specific topic relating to Schiller’s work. To be eligible, students must be enrolled full-time for at least one regular semester of the academic year with satisfactory degree progress. Awarded through the Office of the Dean at Eastern Michigan University, the Gregory Stevens Memorial Scholarship is granted for up to $2,500 to outstanding full-time currently enrolled students who have declared a major in philosophy, history, communications, theatre arts, or political science. In order to qualify, students must have at least 12 credit hours taken at EMU, possess a minimum cumulative GPA of 3.5 or better, and exhibit involvement in community or school-based extra-curricular activities. Each year, the Institute for Humane Studies (IHS) offers a non-residential Humane Studies Fellowship Program to provide an extensive support network and up to $15,000 to current or prospective full-time graduate students in the humanities whose research interests are related to the ideas of a free society. Qualified candidates should be enrolled in an accredited institution anywhere in the world, demonstrate financial need, and exhibit dedication to advancing the ideas of liberty through research and teaching. In memory of a beloved philosophy professor best remembered for his work on the moral issues of nuclear deterrence in the Soviet-American Cold War, the James W. Child Outstanding Senior Philosophy Scholarship was established by Bowling Green State University for rising seniors with a declared major in philosophy and outstanding academic records. Applicants should have a minimum cumulative GPA of 3.5 in philosophy coursework, demonstrate involvement in philosophy-related extra-curricular activities, and exercise community service. At the University of South Carolina, the James Willard Oliver Award in Logic is presented annually for up to $1,500 to an outstanding undergraduate or graduate student who is majoring, minoring, or doing cognate research in philosophy in order to help defray the costs of tuition. Selection for the scholarship is strongly based on overall academic excellence, mastery of symbolic logic, application of symbolic logic to other areas of philosophy, and financial need. Administered by the highly respected American Philosophical Society (APS) in honor of a distinguished member, the John Hope Franklin Dissertation Fellowship is designed to support outstanding doctoral students at any U.S. institution nationwide or exceptional American doctoral students abroad who are completing their dissertation research in philosophy. Recipients of the $6,000 stipend may use the funding to meet the costs of travel to archives for research purposes, the purchase of research materials, and laboratory or fieldwork expenses. For undergraduate or graduate students at the University of Texas at San Antonio, the Kenneth Alan Hovey Endowed Memorial Scholarship is granted annually to those who have declared a major in English or Philosophy and Classics. Eligible students must have completed at least 60 credits, be enrolled full-time with 12 or more credits per semester, have a cumulative GPA of 3.0 or better, and demonstrate strong writing skills in a two-page submitted writing sample. In memory of an outstanding professor who inspired students for 27 years until his life’s work was cut short by cancer, the Philosophy Department at Calvin College presents two Kenneth J. Konyndyk Jr. Memorial Scholarships annually for $2,750 apiece. For consideration, currently enrolled full-time philosophy majors must be entering their senior year, have a minimum cumulative GPA of 3.5 or greater, and be seriously considering a career teaching philosophy at the college level after graduate school. In recognition of students’ exemplary leadership and academic excellence, the Luther and Elnora Hiatt Family Scholarship is offered by the Department of Philosophy and Religion at the University of Indianapolis for $1,000 to rising seniors with a declared major in philosophy or religious studies. As a non-renewable merit-based scholarship, selection will be based on cumulative GPA, consistent strong classroom performance in major classes, and leadership roles within community or professional activities. Annually, the National Federation of the Blind (NFB) awards the Humanities Scholarship for $2,500 to blind or visually impaired full-time undergraduate students who are studying in the traditional humanities, including art, English, foreign language, history, philosophy, and religion. In order to apply, candidates must submit an online application, personal essay on aspirations in the humanities, a current official transcript, and a verification form of legally blind status. Established by the University of California at Riverside in honor of the founding chair member of the Department of Philosophy and his wife, the Oliver and Carol Johnson Endowed Award in Philosophy is designed to curb financial burdens of tuition costs to ensure deserving undergraduate students can continue their studies at the graduate level. Eligible UCR students must have junior or senior-level status, have a declared major in philosophy, and demonstrate academic achievement with a cumulative GPA of 3.0 or better. Created by the University of Utah to memorialize two beloved philosophy professors, the Peter Appleby and William Whisner Scholarship is structured to provide up to $3,000 annually to full-time freshmen, sophomore, junior, and senior-level undergraduate philosophy majors who have a cumulative GPA of 2.0 or better. Preference for the renewable four-year scholarship will be given to philosophy majors who are from underrepresented populations or demonstrate critical financial need for assistance. At the University of Wisconsin at Eau Claire, the Department of Philosophy and Religious Studies has established the Richard DeGrood Study Abroad Scholarship to offer $900 for continuing sophomore, junior, or senior undergraduate students whose performance exemplifies excellence. Applicants must have a minimum resident GPA of 3.0 or higher and be accepted into a UW Study Abroad Program to obtain international experiences in the fields of philosophy or religious studies. Within the Department of Philosophy and World Religions at the University of Northern Iowa, the Robert M. Schwyhart Memorial Endowed Scholarship is awarded for between $1,500 and $2,500 annually to currently enrolled full-time undergraduate students who have declared a major in religion or philosophy. Preference will be given to male applicants who demonstrate financial need, have a minimum cumulative GPA of 3.0 or higher, and have a farm family background. Exclusively for members of the Alpha Epsilon Lambda Honor Society to encourage students to strive for excellence, the Socratic Award for Most Outstanding Student in Philosophy is presented annually for $500 to the most deserving philosophy or religious studies major with senior-level status at the University of Arkansas at Little Rock. Through either traditional or web-based coursework, eligible students must maintain a cumulative GPA of 3.7 or higher and complete at least 75% of semester coursework with a grade of A. In honor of the Arthur G. Hansen Distinguished Professor in the Department of Philosophy at Purdue University, the William L. McBride Graduate Student International Travel Grant provides up to $1,200 to one or two graduate philosophy students as funding for international travel to conferences or study abroad programs. Students may apply to receive financial support to cover airfare, hotel expenses, and conference fees for international travel, except to Canada and Mexico. Established by Kathleen Gill who became the first woman ever hired by the Philosophy Department at St. Cloud State University, the Women in Philosophy Endowed Scholarship Program provides several annual awards for $1,000 to full-time female SCSU students who have declared a major or minor in philosophy. Qualified candidates must have a minimum cumulative GPA of 3.0 or better, demonstrate outstanding philosophical ability, and exhibit involvement in departmental activities. For those who are interested in studying some of the most intellectually significant texts in our world’s history, majoring in philosophy can provide the ideal foundation for becoming a well-rounded professional in business, education, law, medicine, journalism, and many other fields that demand the ability to think critically. While there are a few private scholarships offered in the philosophy discipline, school-specific scholarships are the most abundant. If you do not see your school of preference on this list, be sure to also check with your college’s Philosophy Department to find even more scholarships for philosophy majors.